The city of Perth was founded on June 12, 1829 by Captain James Stirling as the center for the Swan River Colony. Despite a slow start and skirmishes with the native Aborigines, the city prospered and grew. In 1850, an influx of convicts boosted the size of the colony, and their labor helped build the city. The discovery of gold in the 1890s triggered a mineral boom that has still not subsided. This boom has been the key to Perth’s growth, as well as the growth of the whole of Western Australia. To me, Perth embodies everything that Australia is about — rugged yet refined, modern but still rustic, relaxed but still moving. As a young and modern city, there are a few “attractions” here. You won’t find many historic buildings or quaint little shop-lined alleys. There are no cute little neighborhoods. The city is spread out on wide streets. 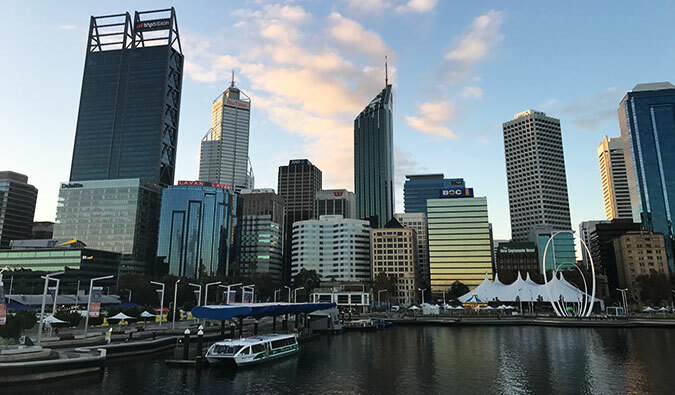 Yes, there’s stuff to do: The Perth Cultural Center; King’s Park; Swan River, which also provides great views of the city, or a quick train trip Fremantle. If the heat (and it gets really hot) gets to you, head to Perth’s famous beaches. But it’s the people that really trap me here. It’s knowing you are miles from anything but never feeling that way. On Sundays, Cottesloe fills with young adults engaging in one of Australia’s most time-honored traditions — the Sunday Session. At night, the action heads down to Northbridge. There, the natives unwind with a good beer and socialize until the early morning hours. And the locals love meeting strangers because, with the city being so far away, not many come! Normally, you go out to the bars, and people are stand-offish when you try to strike up a conversation. But in Perth, everyone talks. The city is a great place to meet people — I found the locals to be very friendly. Northbridge may get crowded and sometimes a little rowdy, but everyone’s always willing to talk. Kings Park is home to 990 acres of landscaped gardens and bushland, making it a great place to go to see an impressive view of the city. Stroll through the eucalyptus tree canopy, take in the rich bird life, and get a sense of the native habitat. The park also hosts regular music and theater events, so be sure to look out for what’s going on during your visit. The park is open daily and admission is free. From this spiraling staircase (located in Kings Park) you can actually get panoramic views of the city skyline, as well as the Indian Ocean. It is the highest point in Kings Park, requiring you to walk up 101 stairs before you can take in the view. But it’s definitely worth it! Rottnest Island is the perfect spot for a day trip. Not only will you get to see the cute native Quokkas (a small marsupial) but you’ll be able to go snorkeling, rent bikes, or spend a couple nights camping. Just make sure to avoid “schoolies week” in late November and early December when the island becomes a drinking festival for 18-year-old Aussies! This gallery was founded in 1895 and houses the state’s most distinguished art collection. It includes post-WWII works, as well as Indigenous pieces. There are also rotating exhibitions, so be sure to check the website for the most up-to-date information. Perth Cultural Centre, +61 8 9492 6600, artgallery.wa.gov.au. It’s open Wednesday-Monday from 10am-5pm. Admission is free but donations are accepted. Cottesloe Beach – This is a long, white-sand beach that’s great for swimming, snorkeling, and surfing. It’s one of the most popular. Swanbourne Beach – This is a clothing-optional beach so it won’t be for everyone, but if you’re up to it it’s a great beach! City Beach – This is another popular beach. It’s great for surfing as it has strong waves and there are lots of cafes around to grab a bite to eat. 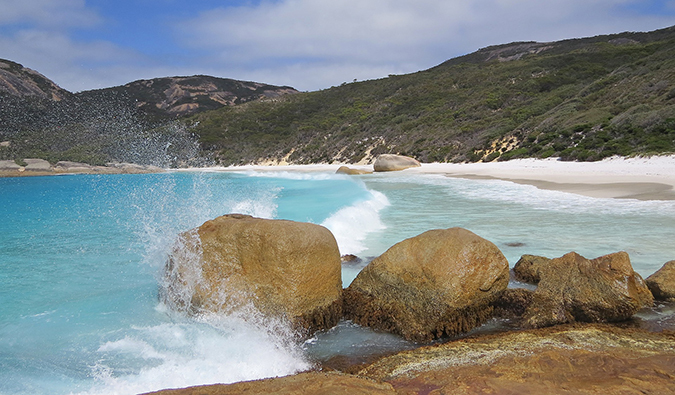 Scarborough Beach – Another white-sand beach that’s great for year-round surfing. Trigg Beach – This is a great beach for pretty much anything! There is good surfing, snorkeling, and swimming and there is free parking nearby. No matter what you’re looking for, there’s a beach for it. They can get a bit busy on the weekends in the summer though, so be sure to arrive early to get a good spot. The trail stretches over 950km and is one of the best hikes in the country, if not the world. The trail will take you through karri and tingle forests, down into misty valleys, and along the coast. You can just do sections of it for single day hikes or spend days or weeks walking it in its entirety. Cabins are offered along the entire way for pit stops and rest breaks, making this an epic journey if you’re looking to really stretch your legs! 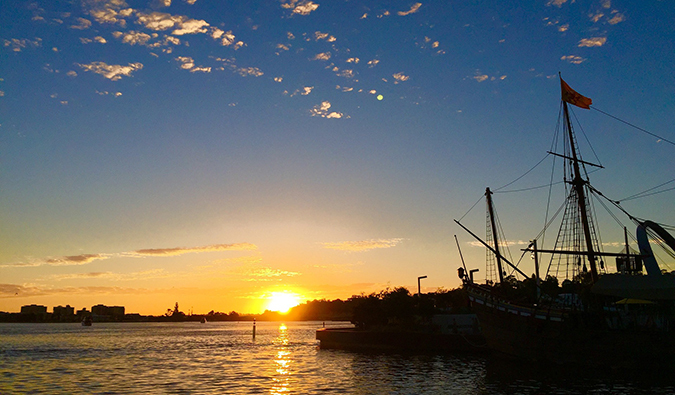 Located about 30 minutes from Perth, Fremantle is a 19th-century port city that makes for a great day trip. There are lots of great places to eat, you can stroll along the coast, and there is a lively and eclectic art scene. There are plenty of buskers, live music venues, and micro breweries to keep you entertained, and you can also tour the Fremantle Prison (which housed convicts back when Australia was a prison colony). If you’re traveling with kids (or just want to embrace your inner child), head to Adventure World. This theme park boasts rides, water slides, go-karts, and also activities for smaller children. If you’re looking for a fun, touristy activity to give you a little adrenaline rush then this might just be it! The park is located around 20 minutes out of the city. 351 Progress Dr (Bibra Lake), +61 8 9417 9666, adventureworld.net.au. Open daily from 10am-5pm. Admission is 59.50 AUD for adults and 49.50 for children 3-14 (children under 3 enter free). Discounts are available for seniors and families. To many Australians, Perth is a world away. The majority of the country’s population lives on the east coast and rarely venture off it. To them, Perth might as well be another country. Perth always seems to be the end of the world — far removed from the rest of the country. 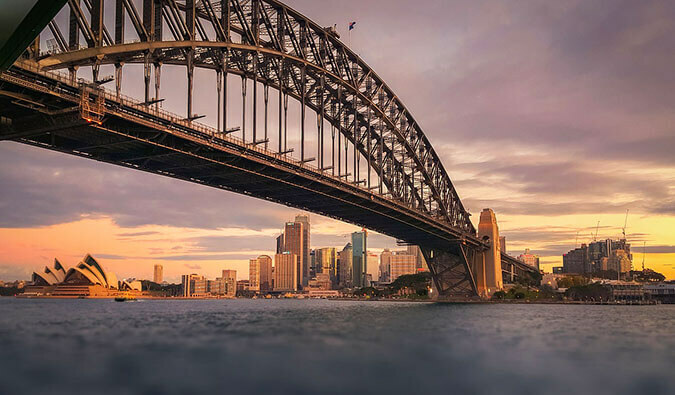 But any visit to Australia that doesn’t include this city leaves out a truly Australian experience. Perth is a 5-hour flight from Sydney, with tickets costing between 185-400 AUD per person. 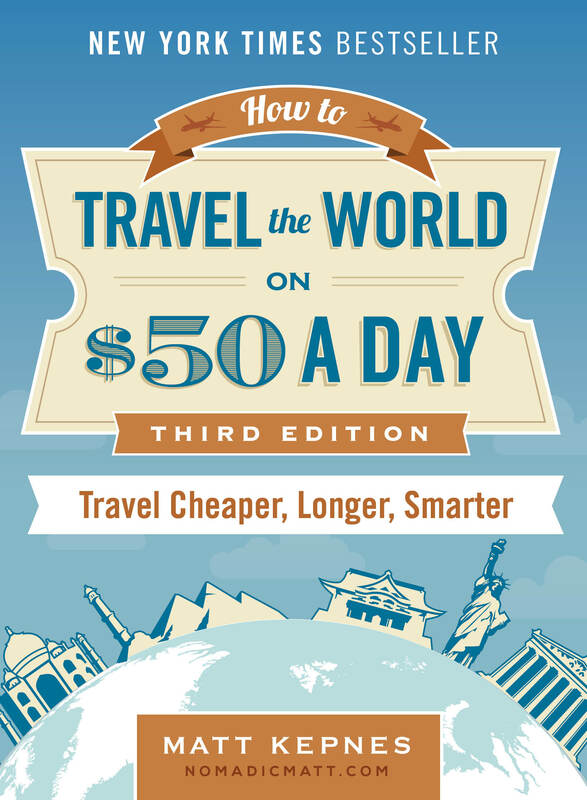 Going by car, train, or bus will take over 40 hours if you go direct and will cost at least 500 AUD, making flying the most budget-friendly option. Of course, if you have a car or campervan then the drive is definitely worth it, as there is a lot to see along the way. If you’re coming from Europe, Qantas now offers direct flights from London to Perth with round-trip tickets costing around 1,000 AUD. The Witch’s Hat – This hostel has an amazing staff as well as spacious dorms, AC, and free pasta and rice! Looking for more information on visiting Perth? 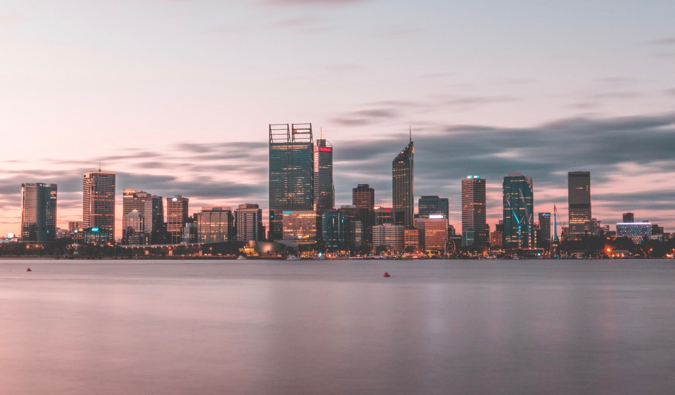 Check out my in-depth destination guide to Perth with more tips on what to see, do, costs, ways to save, and much, much more! some flat share in south perth is a bit better for a long term stay. much cheaper and more quiet than northbridge, and you have less trouble to park your car. Wow. you put together a great blog here. I have always wanted to go to Perth! Hey Matt, nice to hear your positive thoughts about my hometown 🙂 Some people say it’s boring, but I just say they’re not looking hard enough, and your list does make it sound like there’s plenty to do (and you didn’t even mention the vineyards and breweries of the Swan Valley). The growth rate of our economy is still huge because of the mining boom in the north (which is mostly because of China’s economic growth) – it won’t last forever but it’s nice while it does. @jari: thanks for the compliments. I’ll check out your site. @language dude: You need to go. It’s an amazing place! Their growth is tied to China’s growth so I suspect you’ll eventually see it slow. @debo: The new look suits me well! We just left Perth, 2 days ago we were there, and I was expecting more from the city. I know a lot of people that have lived there, are living there or are going to live there, so I guess I was expecting to much. It is a pretty city, and true, it is very Australian. Kings Park is amazing. But I don’t know if I would live there. I new it is isolated, but for a 1,5 million people city, I found it a bit boring, as this 1,5 is very very spread and you feel like your are always in a small town. @cris: i think the big city but small town feel was what i did like about it!